Hey Peeps, Welcome back to my new book blog. 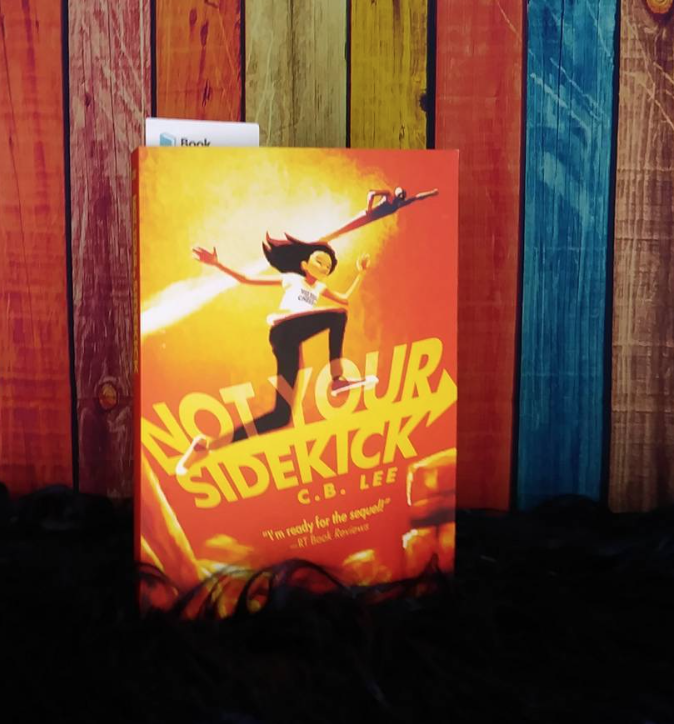 Today’s blog is about Cb Lee Book, “Not Your Side Kick” which I purchase on June 13th. I knew about this book for months but debate over whether I should buy it. But then I watch a youtube video by CeCe aka Problems of a book nerd, in which She reviewed it. After the review I was like I have to have this book. So lets get to the Summary and then my thoughts about the book. 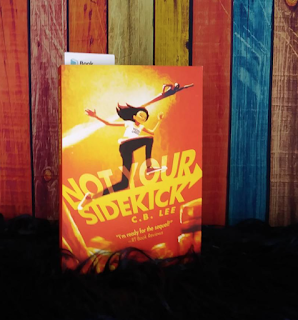 The main character’s Name is Jess Tran and she is Bisexual. She lives in Andover with her Local Super Hero parents, but nobody else knows that. She also has two best friends by the name Emma and Bells. Jess also enjoys Comic books and making Comics. She loves watching 21 century movies because in her time they are contraband. But one thing is, that Jess thinks she has no Superhero Powers what so ever. So in order to feel like she is contributing to her home, she decides she needs an after school job. She wants the job to help keep herself busy and earn some extra money. She finds a job advertisement for this local Digital Electronic company in Andover where she finds out one of the more popular students works. The Popular student is name Abby and also happens to be Jess’s Crush. The girls also have another worker by the Name of M who turns out to be someone they know. As they continue to work, Jess and Abby develop feelings for each other but also have to find out what is going on with their company and the owners. Why have their employers disappear and why are people snooping around the company. In order to find out all of the Why’s? and also if Jess and Abby actually do become a couple, you will have to buy the book. Now on to my thoughts of the book. I rated this book a four out of five stars. I really loved this book because the Super Hero aspect reminded me of 90s. In the 99 we had a Disney movie called the Smart House, then in 2005 we had another movie called Sky High. The book actually reminded me of both of these movies . I also thought Jess Tran reminded me of Thuy Trang “Trini” from Mighty Morphin Power rangers. I also love the cute love story between Abby. It was so sweet how she crush on Abby and How abby tried to show her feelings in return. The love story was everything a love story should be, sweet, adorable and beautiful. I also think if you have never read LBGTQ+ romance Young adult and you really want to, then this is the book for you. You will especially love this book if your into comic books, or fan fiction or fandoms. I can’t recommend this book enough and I suggest you go buy it right now along with the next one that is coming out about Bells. As always all of the author’s information, along with my Information will be listed below. Sorry this blog is late but life happen.